Discussion in 'Acoustic Instruments' started by Deft Tungsman, Apr 14, 2016. 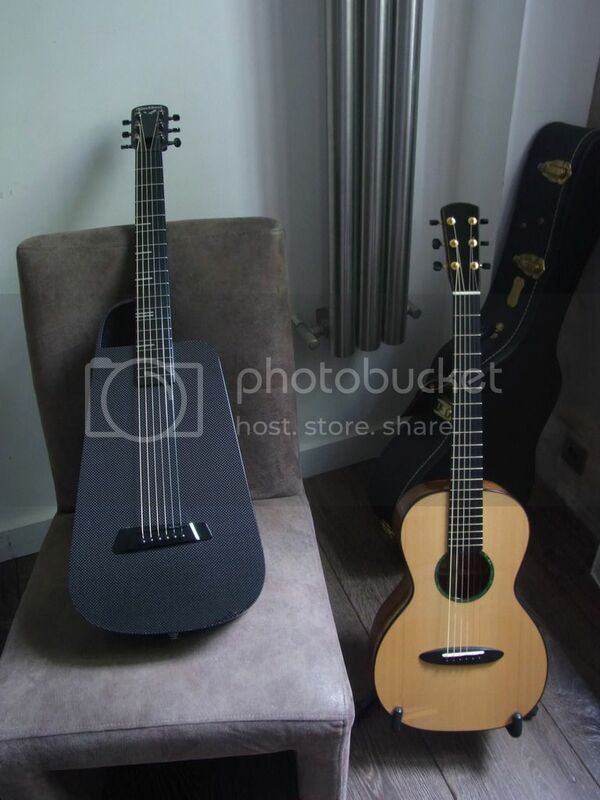 About a month ago, I purchased a Blackbird Rider carbon fiber guitar. Before I describe my impressions, I’ll share why I was even interested in the first place. I am a serious amateur who travels frequently for work. I have always had a compact “travel” guitar in my collection since I purchased a Steinberger by Hohner in 1992. Back then, I was an electric player, and rarely played my one acoustic, a mid-60’s Gibson B-15 that I picked up on my way to college in 1981. 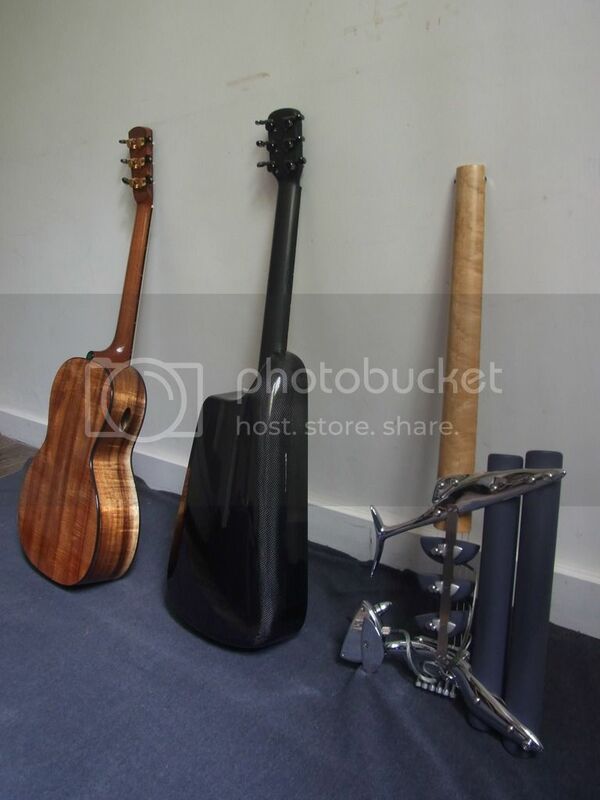 (Now that I think about it, that old student guitar was my first travel guitar, but I digress…). The Hohner was soon replaced by a real Steinberger, which I traded in years later when I got my Teuffel Birdfish. Every step of the way I was looking for something that was easy to take on trips but had killer playability and tone. In that sense, the Birdfish is the ultimate electric guitar for travel, and in some ways is simply the ultimate electric guitar, period. In the late ‘90s I started playing much more acoustic. I’d picked up a Taylor 810 and realized how cool it was to have a nice acoustic around for songwriting and recording. GAS being what it is, I picked up a Larrivée Parlor in 2003 so I could experience those same sensations in the random hotel rooms I sometimes call home. 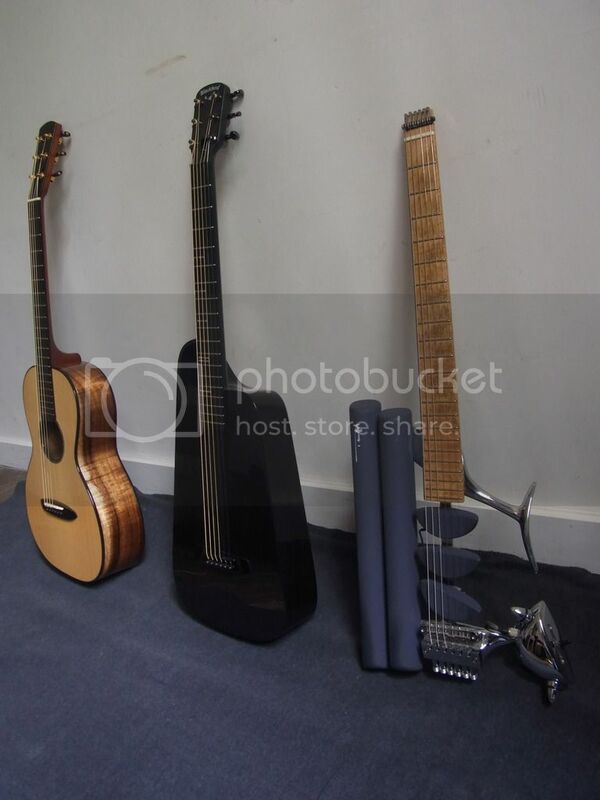 That was a fun guitar, and I didn’t have to worry too much about it getting banged around because it hadn’t cost me too much money, unlike the Birdfish. 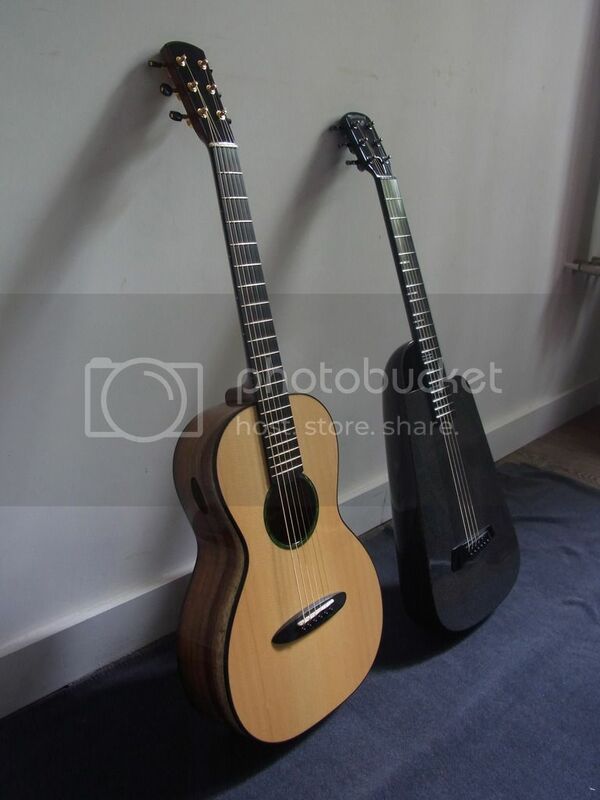 But I never played the Larrivée at home because it was no match for the Taylor, which itself turned out to be no match for the first Goodall that entered my life a couple of years later. Still, I kept the Larrivée for ten years before moving on to a Baranik Retreux Parlor. 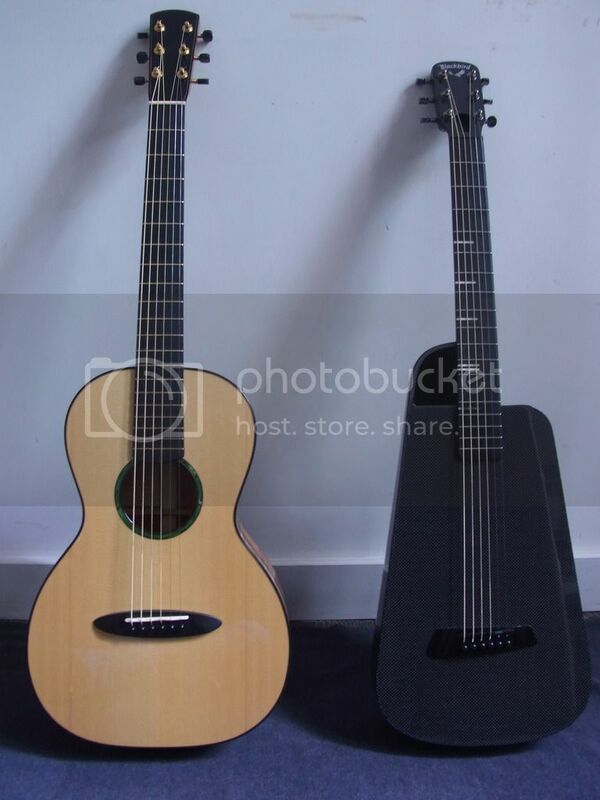 I got the Baranik hoping to have a true parlor-sized instrument that could at least get close to the expressiveness and playability of my Goodalls. What I never would have expected, however, is that once I started to get acquainted with the Baranik, I stopped playing all my other guitars! Seriously, folks, it is that amazing. So much so, that last year I said goodbye to two Goodalls in order to make room for another Baranik, this time a 00m, which gets as much but not more attention than the Retreux Parlor. 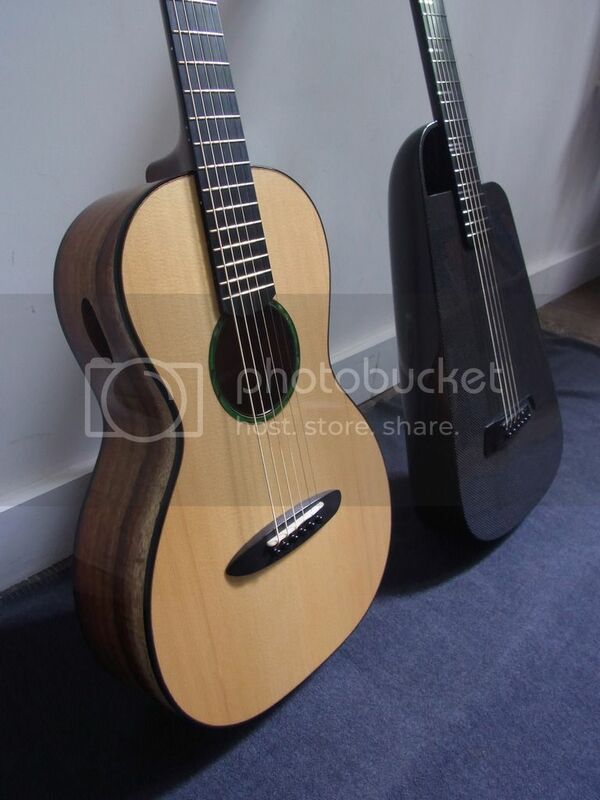 So why get another travel guitar if the Baranik is so stellar? After all, I’ve taken the Baranik to many places, and so far nothing horrible has happened to it. But what if something did? I’d be more than devastated. Enter the Blackbird Rider, a low-maintenance, all-terrain guitar if there ever was one. 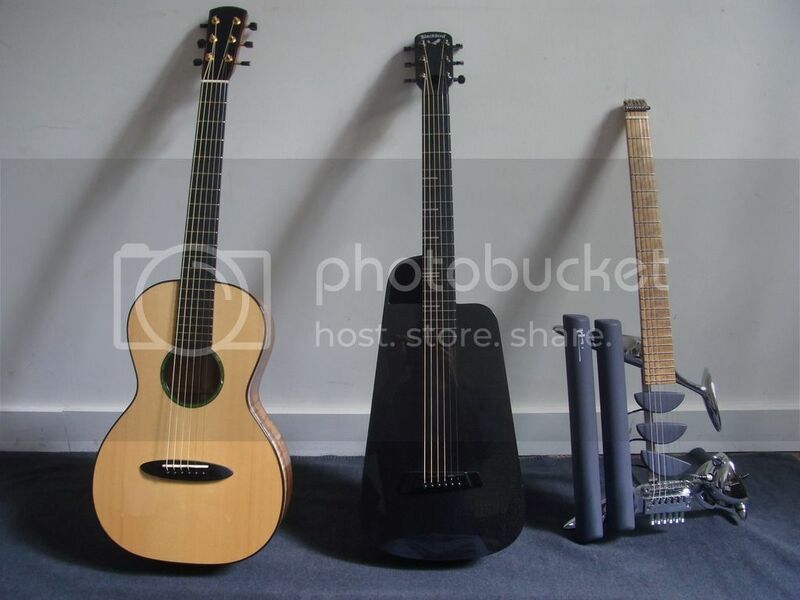 I know that there are other, less expensive carbon fiber travel guitars out there. I remember When the CA Cargo first came out, it certainly grabbed my attention, and I guess I’ve been intrigued by the compact/carbon fiber format ever since. But when I first saw the Blackbird Rider, I fell in love with the looks immediately. I love the harmony between function and form, where the use of carbon fiber has enabled the designers to completely rethink the mechanics and aesthetics of the instrument, somewhat like what Uli Teuffel has achieved with the Birdfish. The more I learned about the Rider, the more I suspected that I’d eventually wind up with one. I deferred gratification for a good three years before pulling the trigger because they are hard to come by and sure aren’t cheap. I should preface this review by stating that I have never played another carbon fiber guitar. This Blackbird is my first and only experience with a composite acoustic. Even though I’d listened to many clips on the internet, there is not replacement for hearing the sound of a guitar in a room. When I close my eyes and listen to the Rider, I hear a lively, steel-stringed acoustic guitar. The wafer-thin top pumps some serious air out of that little body, yielding all the punch and chime of a much larger flat-top. The low E resonates deeply, more so than on the Retreux, as if the guitar somehow defies the laws of physics. But the Baranik outperforms the Rider in the headroom department, which happens to be one the areas where Mike’s wizardry defies the laws of physics. (My little parlor never craps out, even when I’m wailing on a big fat G chord!) And granted, the Carpathian/Koa Baranik speaks with a seductive woodiness that the Rider cannot match. After all, there isn’t a sliver of wood anywhere on it. Instead it delivers a smooth response with a nice progressive temperament everywhere along the neck. The voice itself has a reedy, throaty, hollowness that maybe a clarinet with strings on it would produce. Overall, I’d say that with the Blackbird, you hear the music, the notes and chords, with great clarity, almost like music in the abstract, and that’s why it’s so beautiful, whereas with the Retreux you hear the music being sung with equal clarity but by something with a captivating voice that on its own is enough to keep you coming back for more. What about ergonomics? This flyweight balances beautifully on a strap, and the neck-up device is a fabulous invention for sitting down! 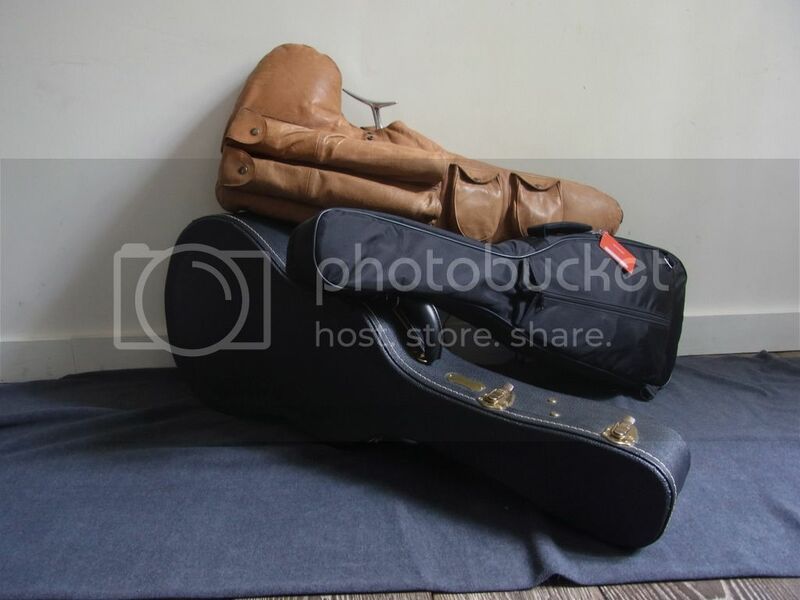 I leave it on the guitar all the time, even in the case, and now use it on the Baranik as well. The neck profile is not exactly perfect for me, but I’ve played it for hours at a time with no discernible fatigue so far, and access to the higher registers is a breeze. It has taken a while to adjust to the way the Rider responds to my various right hand techniques, but I’m now as conversant with this particular guitar as I am with the others. The learning curve has been great fun! !